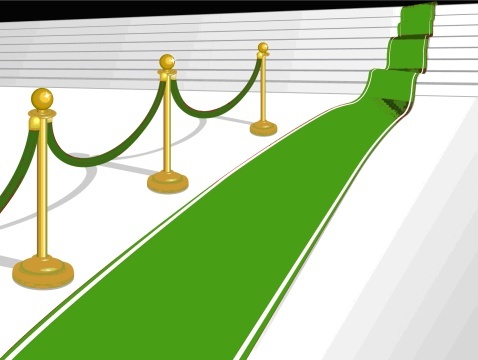 Get ready to rock the green carpet! On Tuesday July 13th, Green DMV is hosting what will likely be one of the best and most well-attended green events this year, Green Night Out with Van Jones. The fundraiser, which will raise money to support the fight against poverty and climate change, will be held at Longview Gallery, a stunning, modern gallery space on 9th Street, two blocks from the Convention Center. The evening will be emceed by NBC4’s Wendy Rieger and will also feature special guest Van Jones. Sponsors include Honest Tea, Foster’s Wine, grassfed media, and Peak Organics Beer. The evening’s passed hors d’oeuvres will include Smoked Salmon Cornucopia with Dilled Crème Fraiche and Spinach and Mushroom Cigars with Romesco Sauce from Restaurant Nora. Trainees from DC Central Kitchen will be preparing all of the food. Beverage choices will include organic wine and beer, assorted Honest Teas, and Fresh Start natural water. Tickets are selling out fast, so get yours today! Green DMV promotes sustainability in low-income communities as a pathway out of poverty. The organization uses a three-point system that focuses on targeted areas of the community including small and disadvantaged businesses, underserved school districts, and community stakeholders.